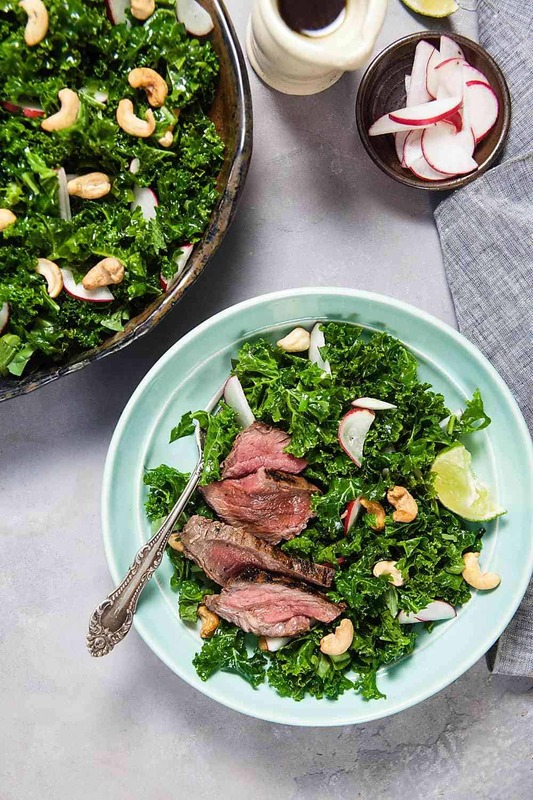 Thai Steak Salad with Kale and Cashews | Healthy. Delicious. 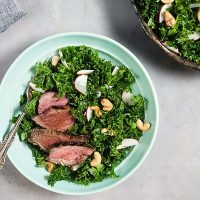 With bold, vibrant flavors, this paleo-friendly Thai Steak Salad will get you excited to eat your greens even in the dead of winter. 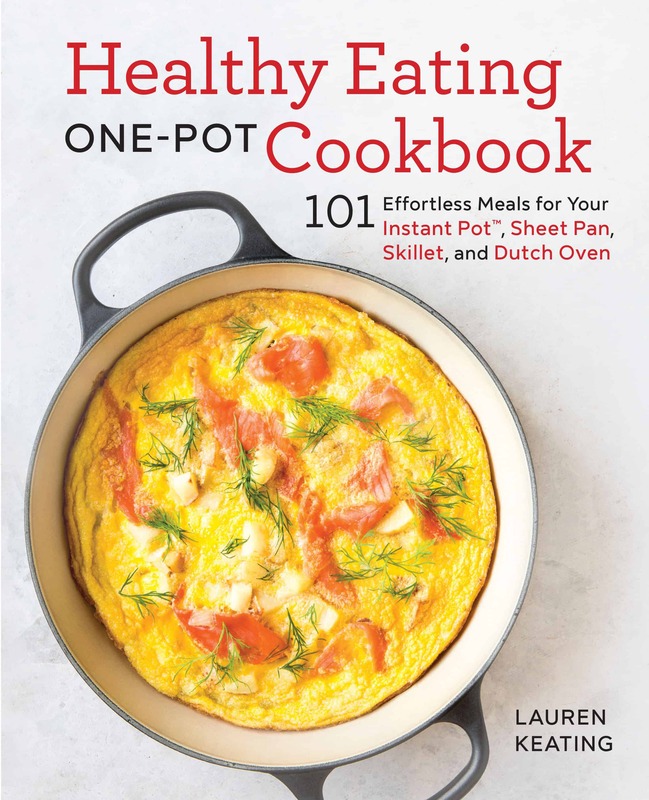 This is the third in a series of recipes I created for Moyer Beef. Moyer can be found in many Tops Friendly Markets across the Northeast. It can be pretty hard to get excited about salad this time of year. But after a few days of eating carbs on carbs on carbs (what do you mean mac and cheese and Christmas cookies isn’t a balanced meal?) I really needed some vegetables in my life. Luckily, I have a few tricks up my sleeve for salads that are totally crave-able even when it’s snowing outside. This Thai Steak Salad definitely fits the bill. 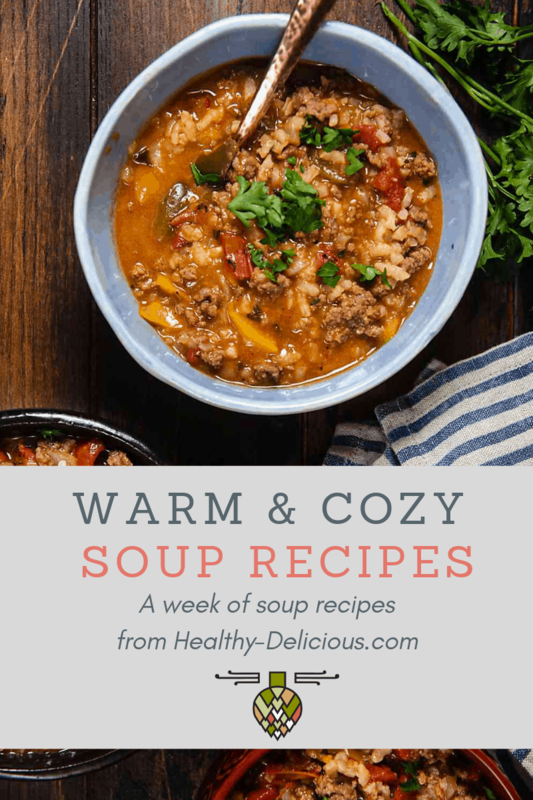 It’s warm and hearty, packed with flavor, and tossed with a vinaigrette that smells so good you’ll be dreaming about it for days. They key to making a delicious winter salad is starting with a hearty protein. This isn’t the time to be messing around with delicate flavors. Steak is perfect. London Broil gets a bad rap sometimes; I get it. Growing up in the 80’s, we ate it frequently because it was affordable, but it wasn’t usually prepared in a way that showed it off well. 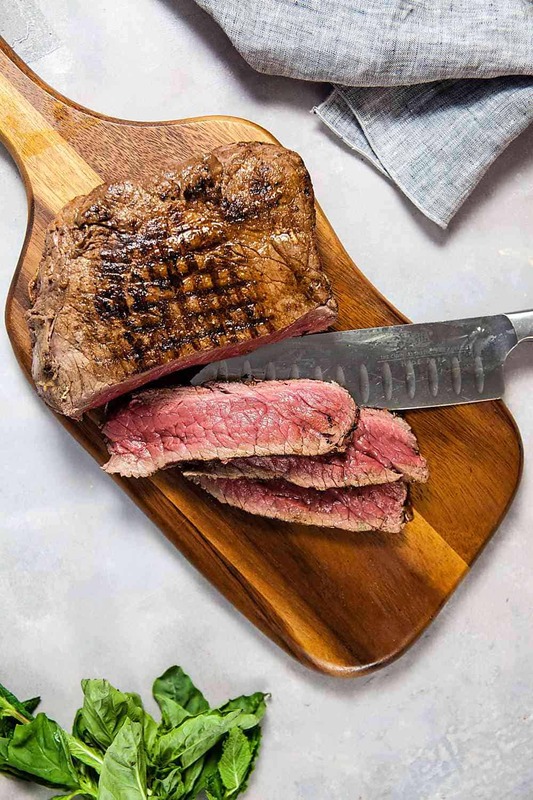 With less than 5 grams of fat, London Broil is considered an extra-lean cut of beef. Unfortunately, that lack of fat also means it’s prone to drying out and becoming tough. But prepared correctly, it can actually be really tender and delicious! Marinating the steak helps keep it tender, while infusing it with tons of flavor. For this recipe, I flavored the marinade with sesame oil, fish sauce, chili paste, and ginger. You want the steak to marinate for between three and twenty-four hours, so go ahead and prep everything either at night or in the morning before you leave for work so dinner will be a breeze. While the steak cooks, prepare the rest of the salad. 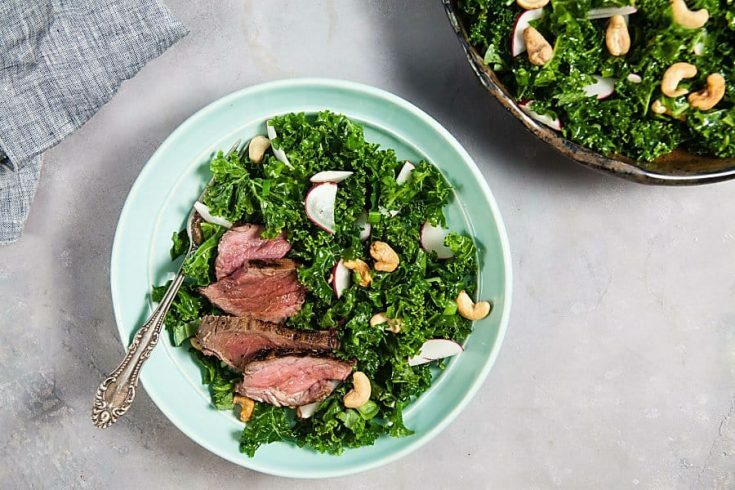 Kale makes a great salad base, since it’s hearty enough to stand up to the beef. I love mixing fresh basil and mint in with it to brighten the flavor and make it a little more interesting. Massage the kale with reserved marinade and lime juice to help tenderize it. I prefer lacinato/dinosaur kale, which is more tender, but used curly kale this time because it was all they had at the store. Either way, you can’t go wrong. For flavor and texture, I add peppery radishes, charred scallions (you can substitute thinly sliced red onion if you prefer), and roast cashews. And there you go – a winter salad that you’ll actually look forward to eating! Combine the first five ingredients in a small bowl; season with a generous pinch of salt. Pour half of the marinade into a small container and refrigerate to use later on the kale. Stir the ginger and garlic into the remaining marinade. Place the steak in a small, deep container; pour the marinade over the steak, turning it to coat. Dover and refrigerate at least 3 hours, or up to 24 hours. Heat a grill pan over medium-high heat. Add the scallions and cook 4-5 minutes, or until the scallions soften and start to lightly char. Remove the scallions from the heat and slice them thinly. Add 1 tablespoon of oil to the grill pan. When the oil starts to shimmer, add the steak (discard the marinade). Grill for 15 minutes, turning once, or until the steak reaches an internal temperature of 140ºF. Remove from the heat and let rest 10 minutes before slicing thinly against the grain. Remove the tough stems and ribs from the kale, then thinly slice the leaves. 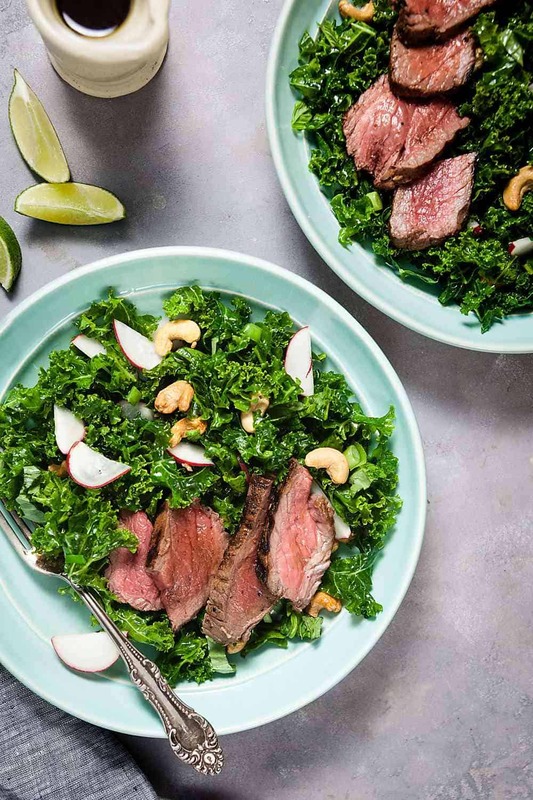 In a large bowl, combine the kale, reserved marinade, and lime juice. Use your hands to massage the dressing into the kale until it begins to soften. Season to taste with salt and pepper. 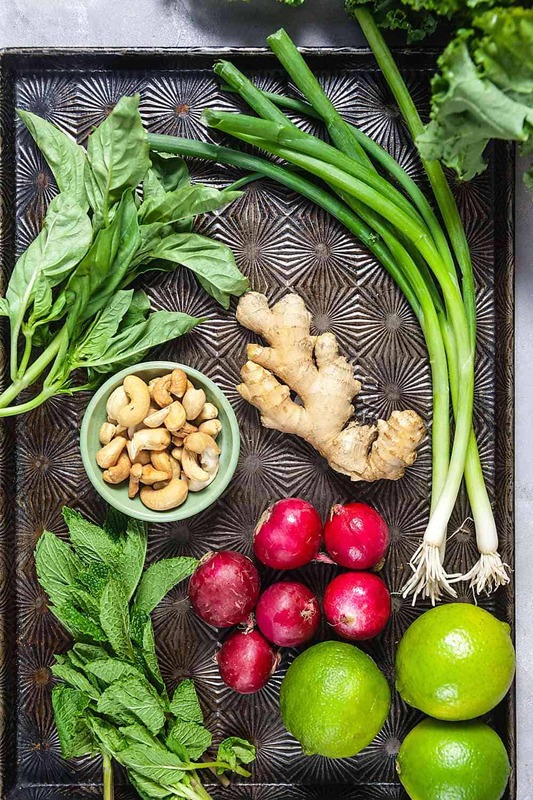 Toss in the mint, basil, sliced scallions, radishes, and cashews. Top the salad with the sliced steak. Serve with lime wedges, if desired.